"5 Broken Cameras" is a documentary of a Palestinian farmer's observance of the non-violent resistance movement against Israel's military occupation. PLOT: When his fourth son, Gibreel, is born, Emad, a Palestinian villager, gets his firstcamera. In his village, Bil'in, a separation barrier is being built and the villagers start to resist. 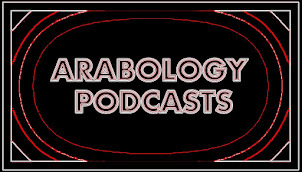 For more than five years, Emad films the struggle, which is lead by two of his best friends, and films in parallel how his son Gibreel grows. Very soon the struggle affects his family and his own life. Daily arrests and night raids scare his family. Emad, his friends and brothers are either shot or arrested. One camera after another is shot out or smashed. Each cameratells a part of his story. 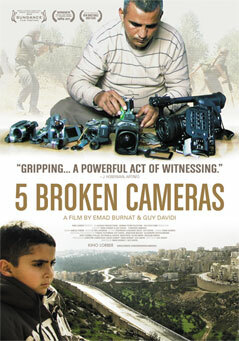 "5 Broken Cameras" was Winner of Best Israeli Documentary Award from Van Leer Group Foundation 2012 and Best Directing Award in World Cinema Documentary 2012.